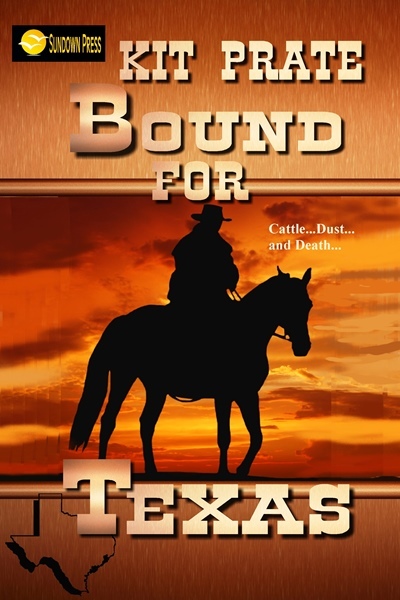 When ex-gunman Trace Belden decides to buy some cattle and settle down on his own Texas spread, he gets more than he’s bargained for—and not in a good way. An ongoing confrontation with Cord Bishop, a man he once thought of as his best friend, taints every minute of the trail-drive back to the Belden ranch—with the loss of several prize Hereford cows and a violent ambush of Trace’s crew. Though Bishop believes he holds all the cards—Trace’s beautiful ex-wife and son—he soon learns that Trace won’t lie down; even if it means never seeing his son again. Trace is determined to protect his own—the herd, his men, his little brother, and a young boy who has run away to join the Belden crew. As disaster strikes again and again, Trace realizes that the vendetta with Bishop can only result in tragedy and loss—and he vows not to lose either of the young boys who mean so much to him. But when Trace’s younger brother, Lonny, begins to carry a gun, he knows he has to rein the wild youngster in before someone gets killed—if it’s not already too late.